What is underinsurance and how could it affect my claim? If you insure your bike for less than the Recommended Retail Price (RRP) or the replacement value in today&apos;s market (see our article on how to select the insured value of your bike or accessories here) then this means that you&apos;re not paying your fair share to the Laka community of your fellow cyclists. This what what is called underinsurance. In the event that you have underinsured your bicycle or accessories we may have to reduce your claim in line with the level of underinsurance. That way we make sure that no cyclist in the community can benefit unfairly.  Say your bike is insured with Laka for £2,000 but in actual fact that model is only available to buy today for £4,000. If your bike were to get stolen then the community would only ever pay out up to £2,000. This means that your replacement bike would not be the same model as the one that was stolen. We would replace your bike with the nearest available equivalent with a value no greater than £2,000. If you were to have a crash in which you damaged your fancy race wheels and they were going to cost £1,000 to replace, the community would only pay out up to £500.